Who is at risk of suffering a fall? You might be inclined to think the answer is old, frail people only, but this is not true. It is also not true that falls are an inevitable part of ageing. Falls are common. Evidence demonstrates that a third of all people over 65 will fall each year, which equates to three million falls across the UK. They are usually not serious, but they can result in broken bones and other injuries as well as a loss of confidence, and can leave people feeling they have lost their independence. We want to reduce the number of people this happens to, so making people more aware of their risk and promoting steps that can reduce the chance of falling is vital. 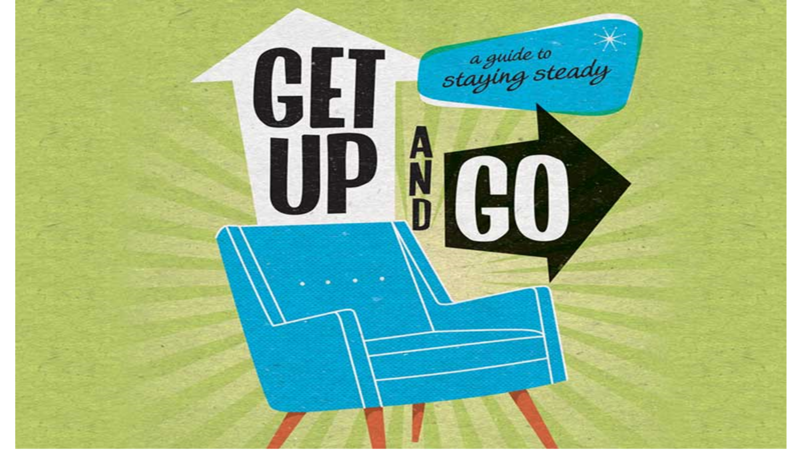 Thursday 1st of October was Older People’s Day in the UK and we released a new falls prevention guide, ‘Get Up and Go, a guide to staying steady’, produced by Saga and in association with The Chartered Society of Physiotherapy (CSP). The guide includes examples of exercises to improve strength and balance and tips on how people can fall-proof their homes. It also has a checklist people can score themselves on, including some factors that they not be obvious, such as wearing vari-focal or bi-focal glasses and not being warm enough at home. This information is important as new results of a Saga Populas survey show people in their fifties are almost twice as likely to fall as they think they are. In fact, every age group surveyed as part of the research significantly underestimated their risk of falling. The biggest gap between perception and reality was in that 50s category, where only 7 per cent of people thought they might fall in the next year, but 13 per cent actually had in the previous 12 months. Obviously, we need to close the gap to help reduce falls, but also to reduce the impact they have on the NHS. The three million falls that occur every year cost our health service more than £2.3 billion, which means a daily cost of £4.6 million. The release of the new guide, along with a ‘Get Up and GO’ video from the CSP, provides the information we need to raise awareness among these groups, an important step in preventing falls. The video demonstrates a test that can be completed to identify an individual’s risk of falling. This is a simple and effective activity, timing how long it takes a person to rise from a chair, walk three metres, turn around, walk back to the chair, and sit down. As well as the exercise and home tips, the guide has valuable information for those at risk and those who are already suffering falls. As the guide mentions, people who have fallen before are top of the risk list to fall again, so the information should be relevant for those who have already and those who haven’t yet. There are visual instructions on getting up from a fall, as well as advice on what to do if you fall and can’t get up. While a lot of this information may sound obvious, a lot of the trip hazards and risk factors, as previously mentioned, may not be obvious. “Being active at any age is important but particularly as we get older to strengthen muscles and increase stability to help prevent falls.